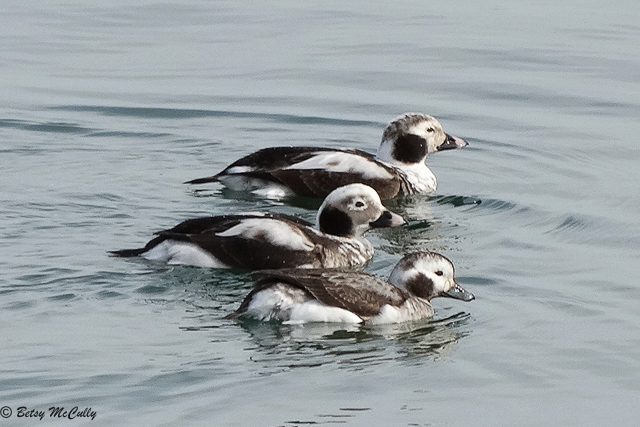 Long-tailed Ducks (Clangula hyemalis). Napeague Harbor, Long Island. Lakes and ponds on breeding grounds, coastal waters in winter. In steep decline.